If you haven’t seen Spirit Riding Free, it is an animated series created by DreamWork. 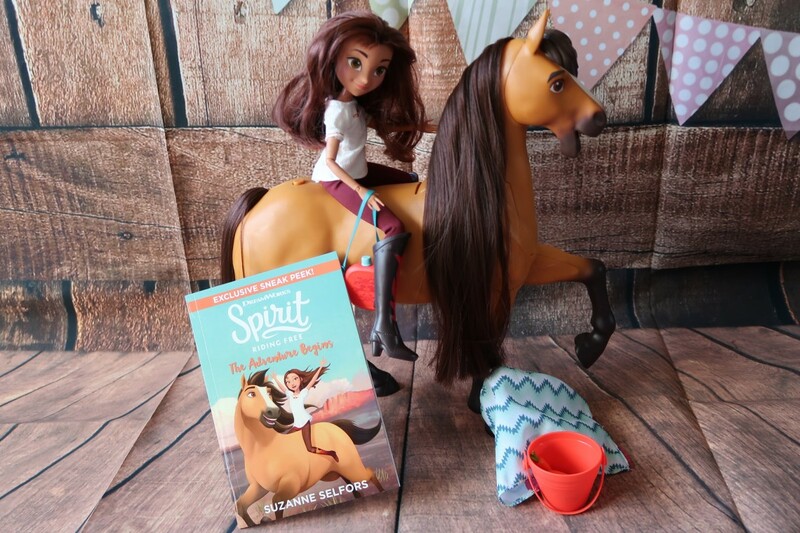 The story is of a girl called Lucky who moves to a new town and begins a friendship with a wonderful but wild horse called Spirit. You can follow her adventures along with her two friends Pru and Abigail on Netflix now. A great little show for horse mad kids or those who love a sweet show about friendship. 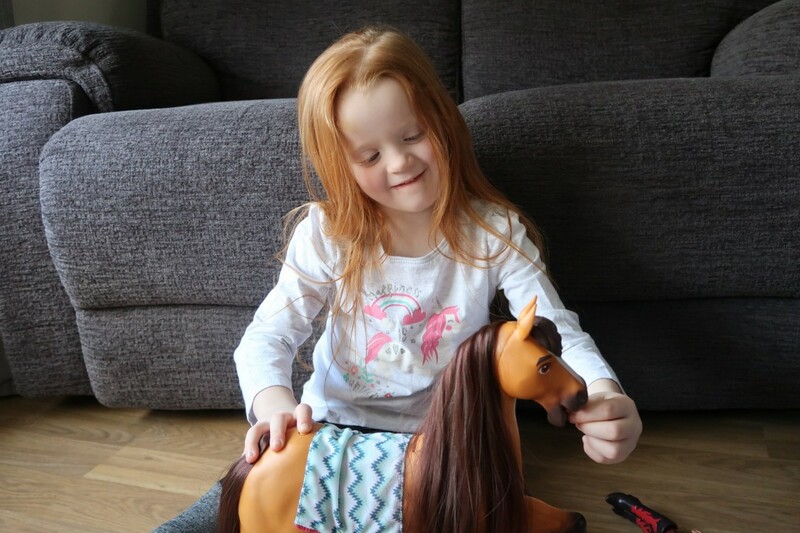 We have been trying out some fabulous Spirit Riding Free toys for review which are out on the market now. 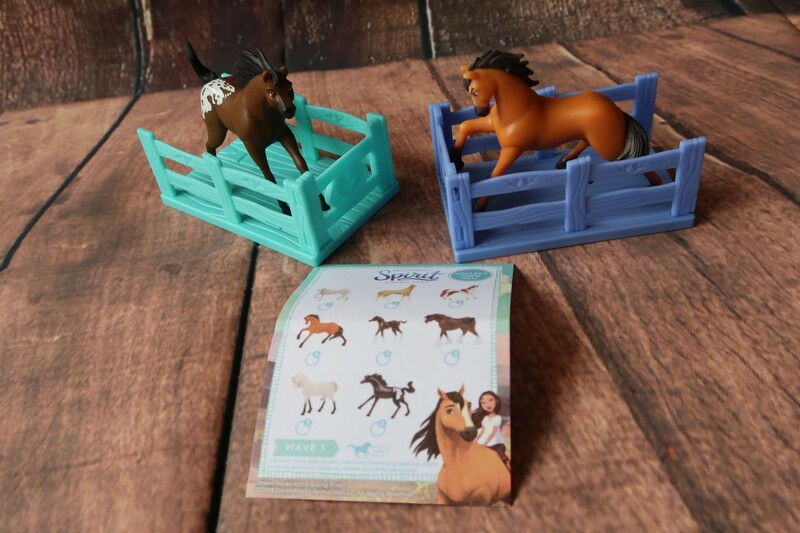 The first of our sets by the toymaker Flair is the Spirit Riding Free Deluxe Feeding Set. 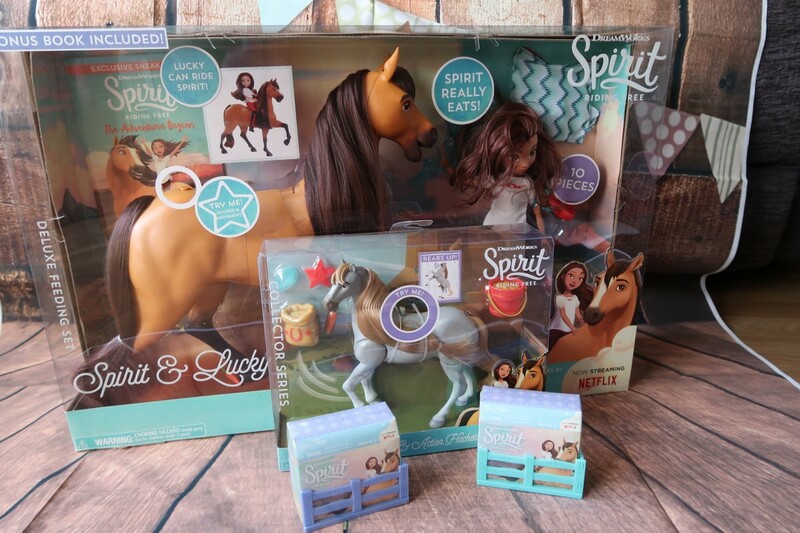 This is a fantastic set which comes with Spirit the horse, Lucky the doll who is poseable, a bucket, 4 carrots, a blanket, water bottle and a book. We absolutely love this set. 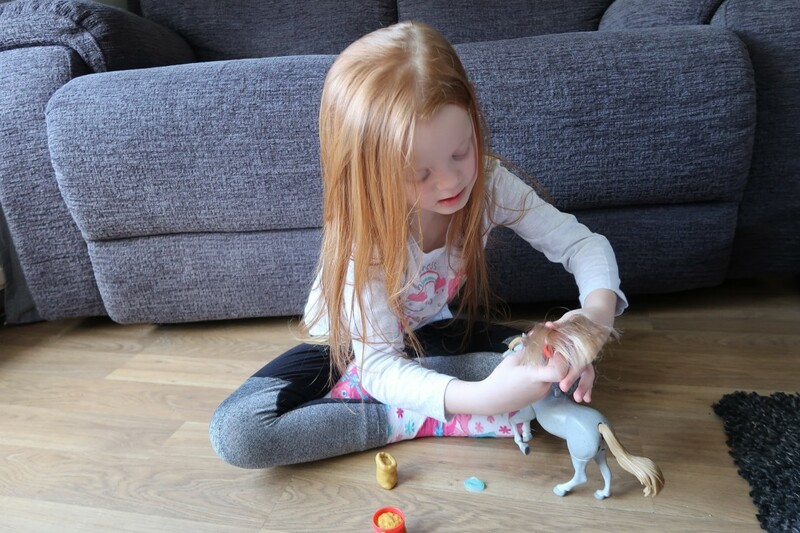 Both the doll and horse are a decent size which makes for wonderful imaginative play for children. 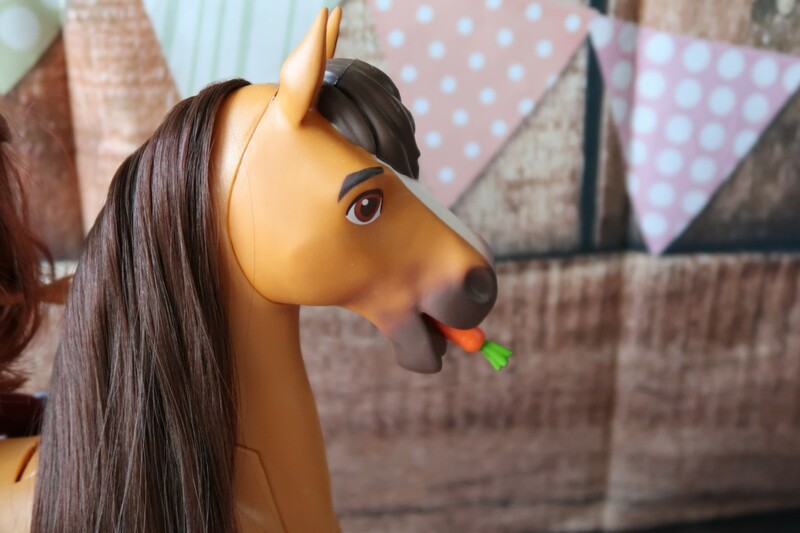 Spirit has a silicone mouth that when switching on, underneath, as shown above, he can eat his carrots. Yes, eat them. They come out the slot you see above just where his belly is. He moves his head up and down when he wants something to eat when the button is pressed on his back. He also makes realistic horse noises. When Spirit eats a carrot you place it in his mouth, holding in the button on his back. He will make eating noises and when you gently push the carrot in, his jaws move and he swallows the carrot. It comes out of the stomach area. Spirit on his own is a lot of fun to play with, he’s a good size and easy to play with. He comes with different accessories like a blanket to put over him, a bucket to keep the carrots in and a water canteen for both Spirit and Lucky. Spirit has long silky hair that you can have fun brushing or plaiting. Lucky is a well-sized doll and I like that she is poseable. She sits on Spirit well and can be played with on her own. She is dressed in boots and her riding outfit which is simple to take off and put back on. Good for small hands as there are no fiddly bits. The book that comes with it is an added bonus. Aria loved reading it to Lucky and it made a great bedtime story too. Aria is a bit fan of the Spirit Riding Free Deluxe Feeding Set. She adores Spirit and hasn’t stopped playing with him or hugging him since he arrived. This is a great set and fantastic for those who love horses or the show. 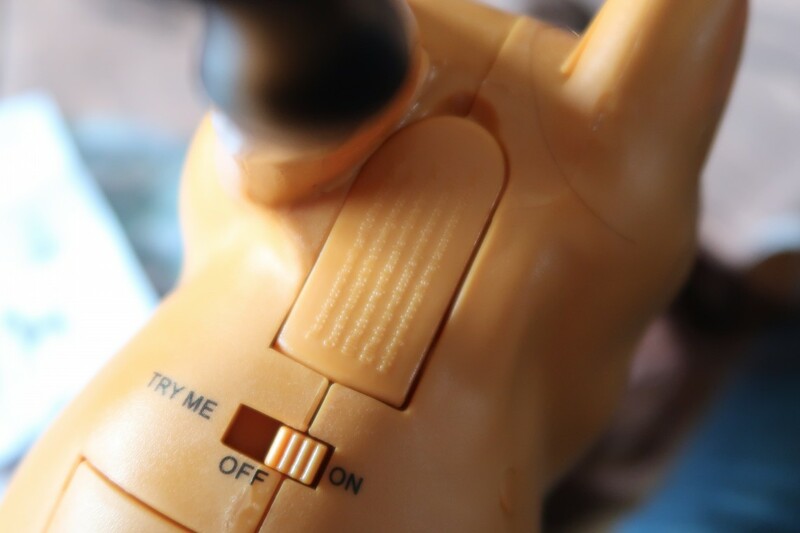 Plus you don’t need to have batteries for the initial play. The Spirit Classic Sounds and Action Horse Set is another great set from the range. This is Hacheta isn’t she pretty. She is smaller than the last place set, but a lot of fun too. 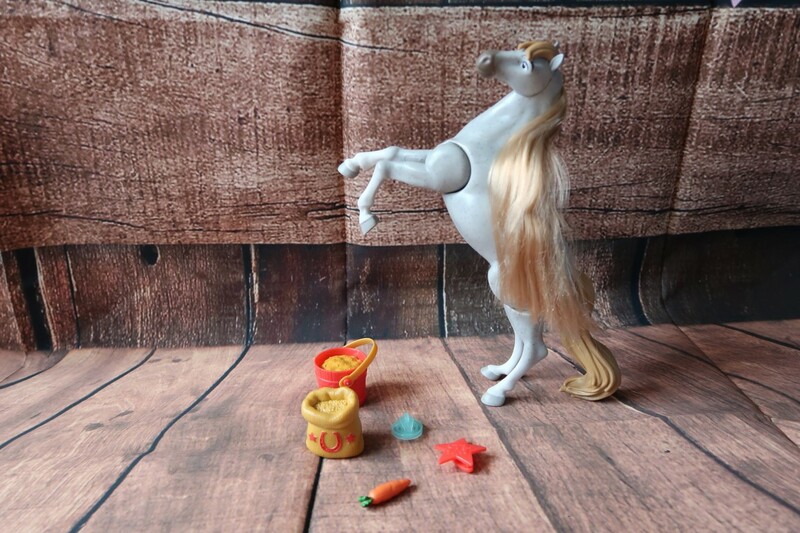 The set comes with a food bucket, hay, horse, brush and star hair clip. By pressing on the button on her back or by pressing her head downwards, Hacheta will make horse noises. Her head and tail are poseable. 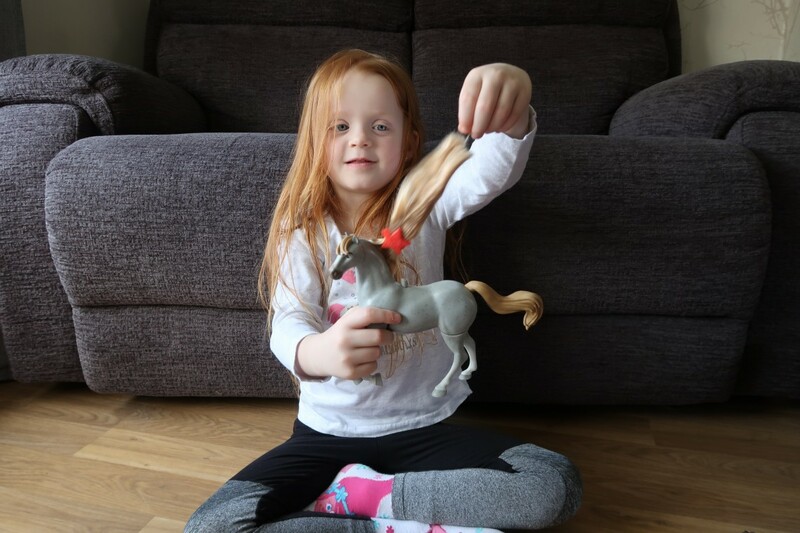 Her mane can be brushed and put into a hairstyle using the clip that comes with it. As you can see this was Aria’s favourite part of this toy. The tail is plastic. The horse stands on his own but moves it’s leg when putting in a rear-up position. She’s a fun horse and it’s one to take out and about. 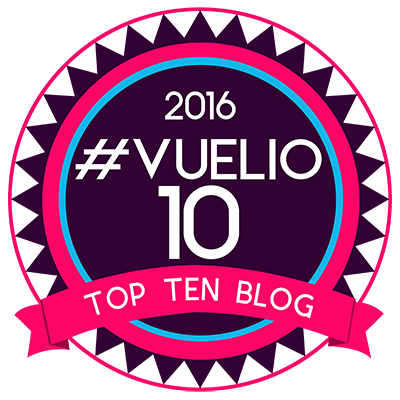 We really enjoyed playing with this one. 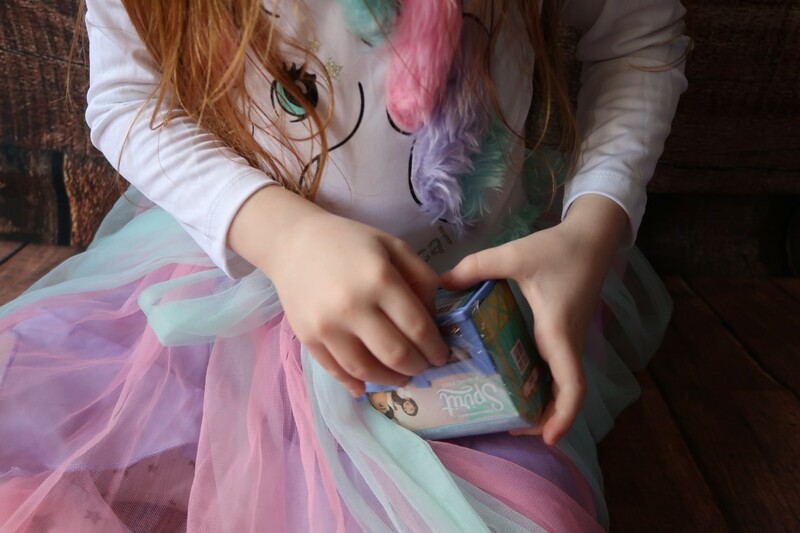 It’s a great wee set for imaginative play and acting out Free Spirit episodes. The last Spirit toy we have is the Spirit Blind Boxes. These are a series of 8 unique Mini horse figures that you can collect. You don’t know which one you are going to get. The box has a horse, little stable to store your horse in and a collectors checklist. Which one will you get? 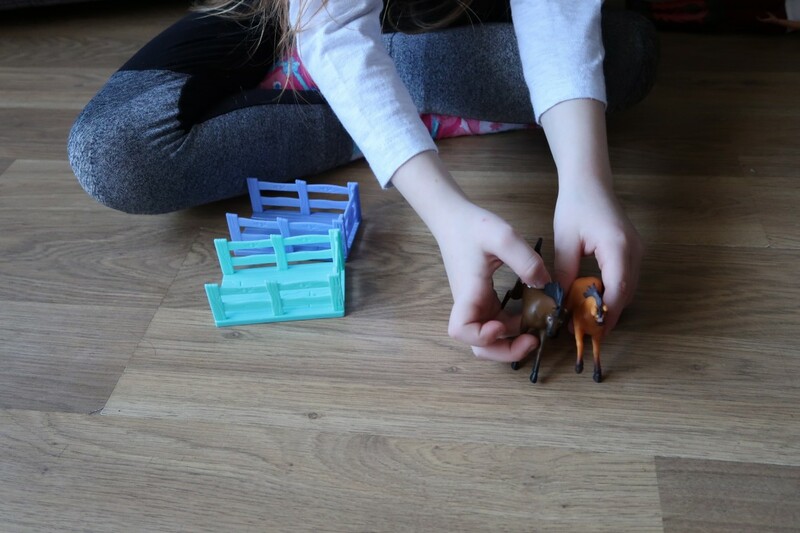 We really like that the box that it comes in can be used to store the horse in. Each of the Spirit Blind Bag horses is just over 2 inches tall. They are simple and fun to play with. Sturdy and well made, these make a great little stocking filler, Easter gift or pocket money toy. 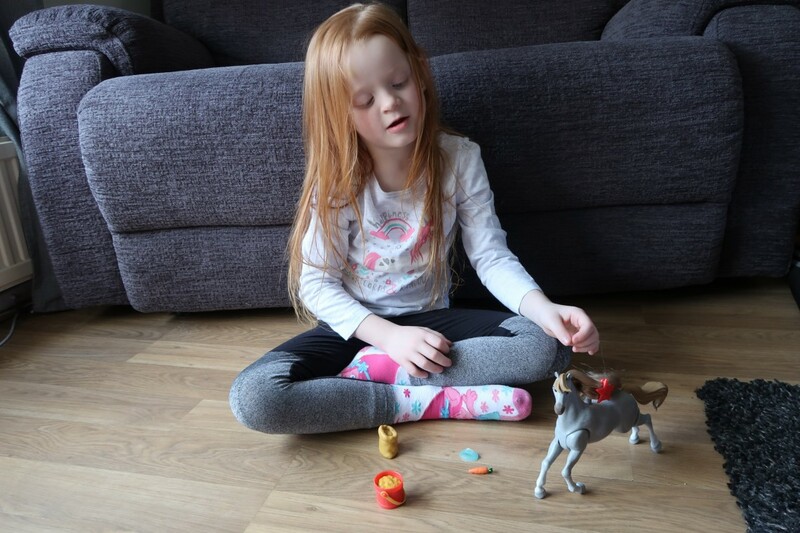 They are great toys for taking out and about and galloping about the house with. Great wee price too. They are available in Smyths Toys and Amazon. Disclaimer:- We were sent these toys for review, but all thoughts and opinions are my own. 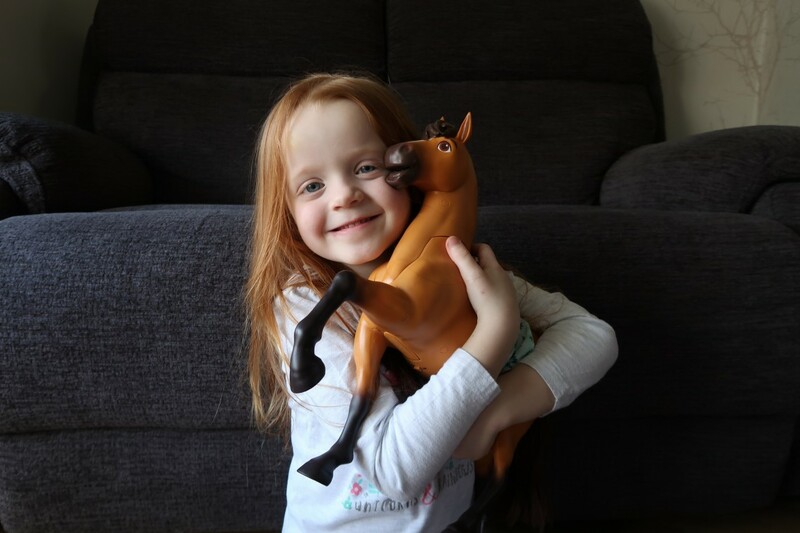 I just love these they look and sound absolutely fabulous and are perfect for little horse fans. That is a wonderful theme for a story. Wish I was a little girl. 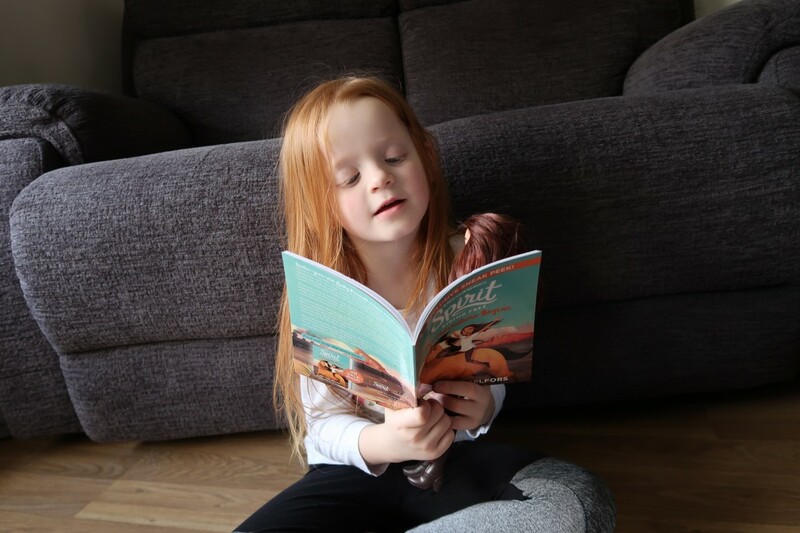 The photos of your daughter are so sweet, I specially love the one of her reading the book. She is going to have so much fun with this set!